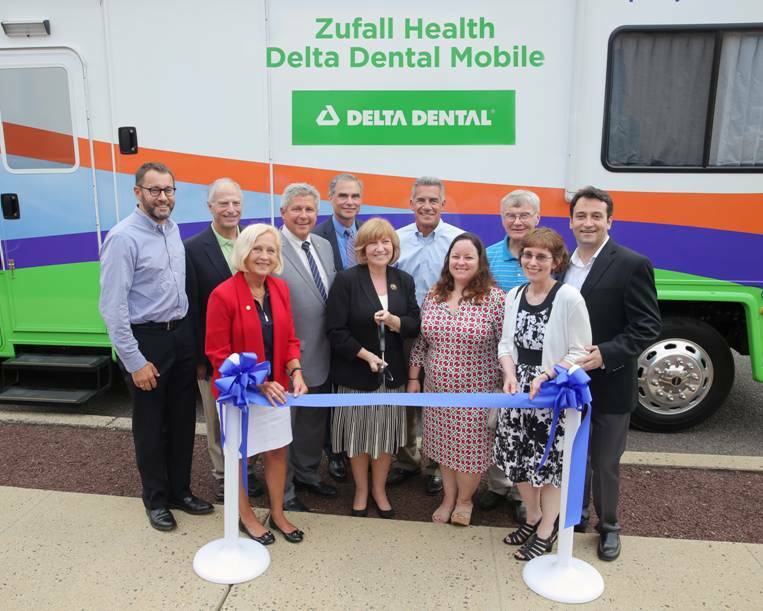 More than 250 underserved adults and children in the Partners for Health Foundation service area received affordable, high quality dental care on the Zufall Delta Dental Mobile Van in its first year of service. A dental clinic-on-wheels had long been on Zufall’s wish list, according to Dr. Sam Wakim, chief dental officer at the nonprofit community health center. 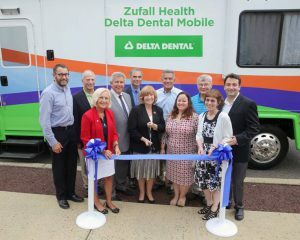 Having provided limited dental services on Zufall’s medical van for some time, he said a sustainable, efficient solution was needed to improve patients’ access and provide them with a permanent dental home. The dental van reduces barriers to care such as cost and transportation, improves the level of care and provides regular access to care. The 39-foot, state-of-the-art mobile unit has two fully equipped operatories utilizing cutting-edge technology that accommodate comprehensive preventative and restorative dental services. At a cost of $350,000, it was funded by primary sponsor Delta Dental of New Jersey Foundation. 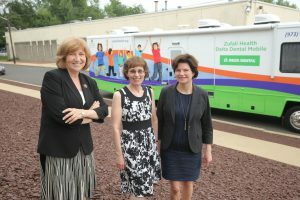 Additional funding was provided by Partners for Health Foundation in Montclair. 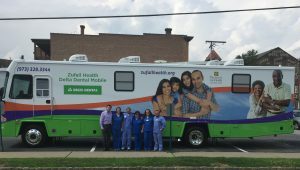 The van is manned by a general dentist and support staff and operates five days a week, spending one full day in the Montclair area and the rest of the week at sites throughout Zufall’s north and central New Jersey service area. While its primary focus is low-income children and seniors, it also serves populations including farmworkers, veterans, the homeless, public housing residents, and school children. Services are charged on an income-based sliding fee scale. NJ Family Care insurance plans and some Delta Dental plans are also accepted. Organizations interested in information about scheduling a van visit to their site may contact Michelle Blanchfield, director of Outreach and Special Populations, at 973-328-9100, Ext. 323. 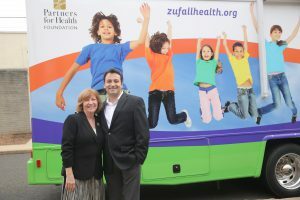 Patients who want more information about eligibility and the van’s schedule may call dental van manager William Torres at 973-329-3344 or visit www.zufallhealth.org. Zufall Health is a not-for-profit, state-licensed community health center that has been providing high-quality, affordable medical and dental treatment to the working poor, uninsured, and underserved for over 25 years. More than 30,000 patients are served at its headquarters site in Dover as well as medical and/or dental offices in Morristown, Hackettstown, Flemington, Somerville, West Orange, Newton, and on its Highlands Health Van. For more information, visit zufallhealth.org.